Over the years we have established great relationships photographing weddings or creating beautiful images with some like minded people. Here is our list of favorite vendors in no particular order. If you would like to be considered for the Vendors list please contact us at info@imagestudiosgroup.com. Where Modern Elegance and Old World Sophistication come together. Since 1999 Oakwind Bed and Breakfast has been recognized as one of the premier venues on the Gulf Coast for weddings, rehearsal dinners, and receptions. Situated on twenty beautiful acres just south of Houston, this six thousand square foot estate is lushly landscaped with 200-year-old oak trees shading an enchanting gazebo, pergola, and verandah. Available for weddings and receptions from an intimate party of two up to three hundred guests at any of several outdoor locations or inside our large colonial estate. Rehearsal dinners are also available. Luxury, elegance and a peaceful country setting help to create a memorable experience, you will cherish forever. Please click above for our Wedding/Event Coordinator and a personal tour of Oakwind. With decades of combined experience working with event planners, brides, families, organizations and businesses across the country, no one provides more in-depth expertise and cares more about your event than THE SPRINGS in Angleton. 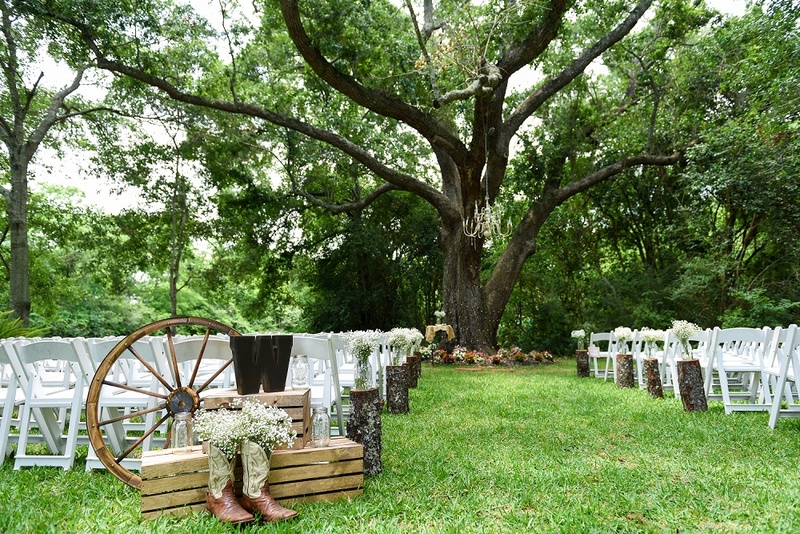 THE SPRINGS in Angleton pinpoints rustic landscapes near central locations in each state to give clients the greatest convenience, beauty and service for their events. The Springs Events crafts each location with distinctive indoor and outdoor features to make picturesque photos and an immediate impression. Intricate, wrought-iron doors, WOW entry staircases, soaring wood rafters and polished wood floors make a dozen frames for more elegant indoor pictures, as well as a grand entrance. Individual his and her suites allow you to prepare for your big moment and the open, lavish reception hall gives you plenty of space for a wonderful dinner, dancing and more. At Something Blue, we take extra effort to make sure that your wedding dress shopping experience is everything you dreamed that it could be. The moment you walk into Something Blue, you will feel that it is something special. Having worked at several salons in the past, we have taken the best of all of them and put it together to give you an experience that is centered around you. We know that 21st century brides are incredibly busy—and we have designed our salon to not only pamper you and your bridal party, but to streamline the process so that your wedding wardrobe becomes the least of your worries after you make the all-important decision on THE DRESS.